Not that the quartet comprised of vocalist Johnny Lee, guitarist K. Raffah, bassist S. Rebelo and drummer J. Garcia, was born just yesterday. 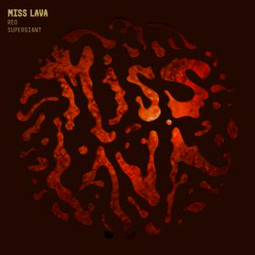 In fact, Miss Lava has been snapping guitar strings, bashing drum skins, and tearing shins across the floorboards of European stages for half a decade already; having inaugurated their recording endeavors with a self-titled, blood-red vinyl EP in 2008, and quickly followed with their debut full-length album, Blues for the Dangerous Miles, towards the end of 2009. These precocious portents of pulverizing power – fueled by more mega-riffs than Portugal had spawned since at least the inquisition – quickly gained Miss Lava domestic recognition via Loud Magazine, which named …Dangerous Miles one of the year’s top 5 Portuguese records, backed up by its readers, who also voted them one of the country’s top 5 bands. Simultaneously, the song “Don’t Tell a Soul” enjoyed heavy rotation on MTV Portugal (with added exposure on a homegrown MTV series named “Skins”) as Miss Lava toured extensively throughout their home country while making the best of high profile Portuguese festival appearances at Rock in Rio Lisboa (Vodafone Stage), Vagos Open Air, and Faro Bike Meeting, alongside the likes of Metallica, Mastodon, Slash & Friends, W.A.S.P., Kyuss Lives!, Fu Manchu, Truckfighters, Valient Thorr, Entombed, Meshuggah, Barn Burners, Year Long Disaster and, errrr… Roger Hodgson. 2010 also witnessed the group’s first international forays via two UK tours, which were followed in August of 2011 with a show at Los Angeles’ historic Whisky a Go Go, and, in late 2012, the announcement of a globe-spanning deal with Detroit’s Small Stone Records that will see the release of Miss Lava’s sophomore album, Red Supergiant, in March 2013. The band has already lined up three singles with which to promote the LP: “Feel My Grace” (backed by a 90’s VHS-style Euro video featuring two girls having fun), “Yesterday’s Gone” (shot live by Portuguese artist Mike Ghost during a tour with Truckfighters), and “Ride,” whose clip was shot in and around Las Vegas and the Mojave Desert by German director Joerg Steineck (of “Lo Sound Desert” and “Fuzzomentary” fame). Finally, listeners seduced by Red Supergiant’s authentic rock and roll disasters can count on Miss Lava to announce further European dates and festival slots throughout 2013, starting with a show in April at Portugal’s infamous SWR Barroselas Metalfest, where they will share a bill with Pentagram, Possessed, Manilla Road and Black Bombaim, among others. 2013 will be the year of the Lava. Recorded at Panavideo Studios, TheKidsRoom, and Djungle Producoes Studios – Lisbon, Portugal. Drums recorded at Panavideo Studios by Samuel Rebelo. Guitars and Bass recorded at TheKidsRoom by Samuel Rebelo. Vocals recorded by Samuel Rebelo at Panavideo Studios and by Ricardo Espinha at Djungle Producoes Studios. Produced by Samuel Rebelo and Miss Lava. Design and Art Direction by José Mendes.